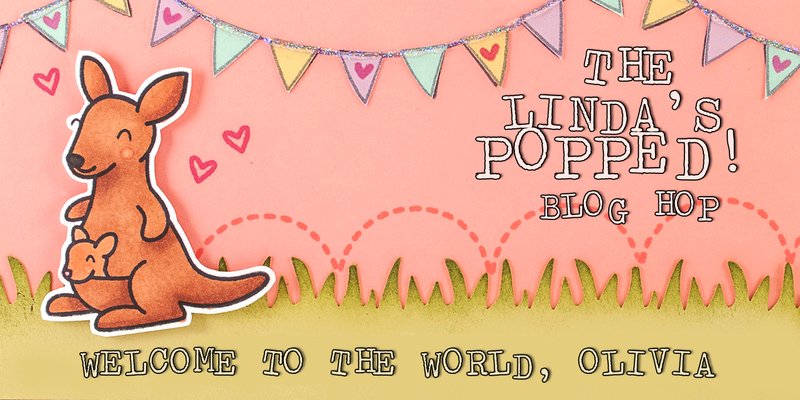 MossyMade: Linda has Popped Hop! Hello little Olivia! Today we are celebrating the birth of little Olivia and surprising our friend Linda with this little hop! Thanks so much for joining us. 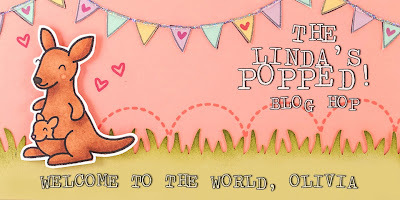 Linda we are excited that your little bundle of joy is now here and hope that you enjoy this blog hop just for you. You should have arrived from Mary Dawn's blog. I had fun making this card. I used Lawn Fawn's Plus One set and Riley's ABCs to create my own fun sentiment. The next person on this hop is the talented Danielle. Happy Hopping! Here is a full list of blogs on the hop...in case you get lost. omg, so cute! I'm off to hop! So stinkin' cute!! Love this! so cute, love the pun you added to your card! You are such a great friend! So precious! I love this card Chari! Very creative. Love the colors and those adorable images. Chari this is sooo cute, love it!!! Super sweet! 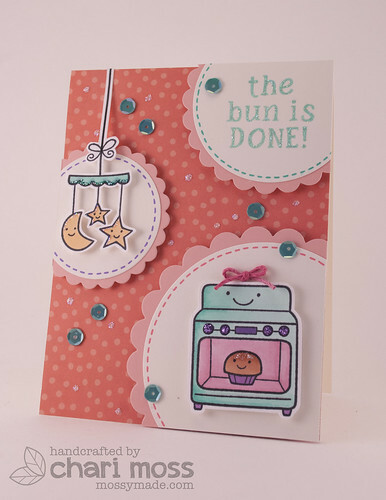 I love the dotty background, all the sequins, the lovely colors you used and the super fun stamps! This card makes me smile! I love the soft colors and your design! Adorable!! Cute - Love the sentiment. You are so clever, Chari! Your card is absolutely darling! What a sweet, fun card!